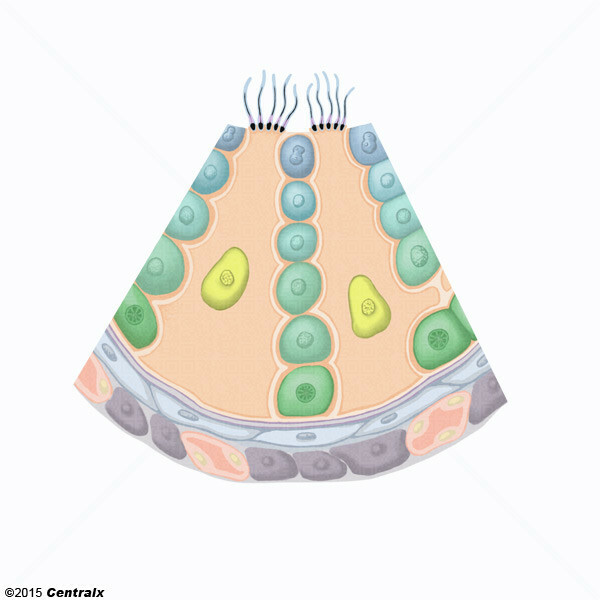 The epithelium lining the seminiferous tubules composed of primary male germ cells (SPERMATOGONIA) and supporting SERTOLI CELLS. As SPERMATOGENESIS proceeds, the developing germ cells migrate toward the lumen. The adluminal compartment, the inner two thirds of the tubules, contains SPERMATOCYTES and the more advanced germ cells.